The Automotive High Current Probe is a high load-current draw component tester. 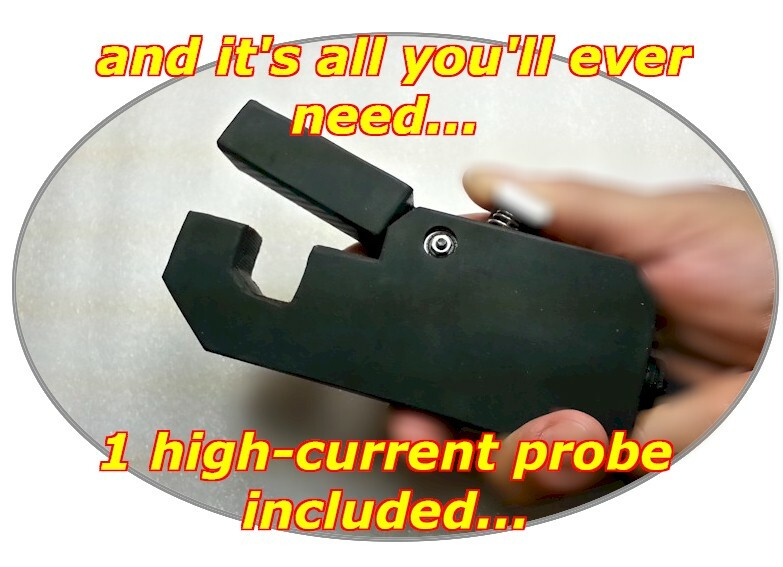 Our High-Current-Probe works fine with any other scope, such as Fluke, Vantage, Pico, Tectronix, etc. With our high current probe, you can do a huge array of tests you didn't even knew was possible. These tests include doing a cylinder compression test right from the battery cable and diagnosing fan-blower motors, direct-injection injectors, diesel piezoelectric injectors, all motor driven circuits and components (window motors and electric parking brake calipers, etc) and much more. 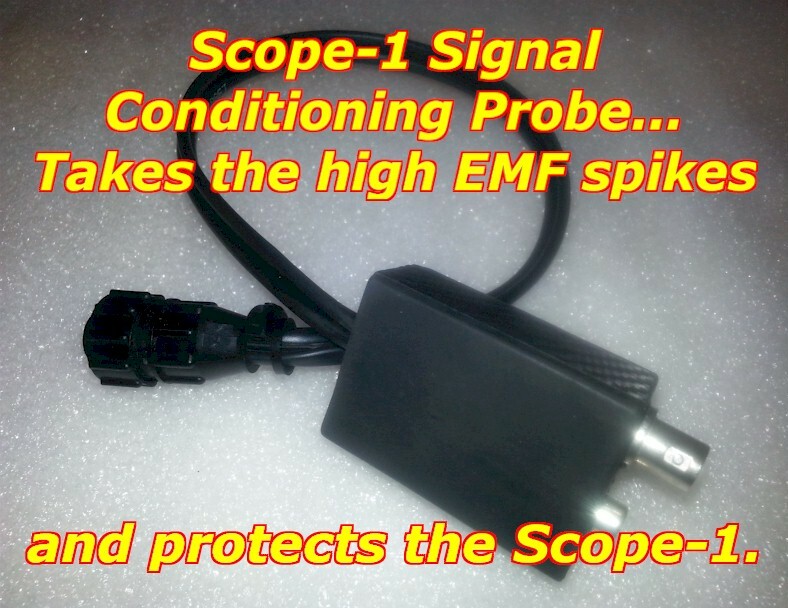 Our High-Current Probe works with your own scope or our designed and developed Scope-1. 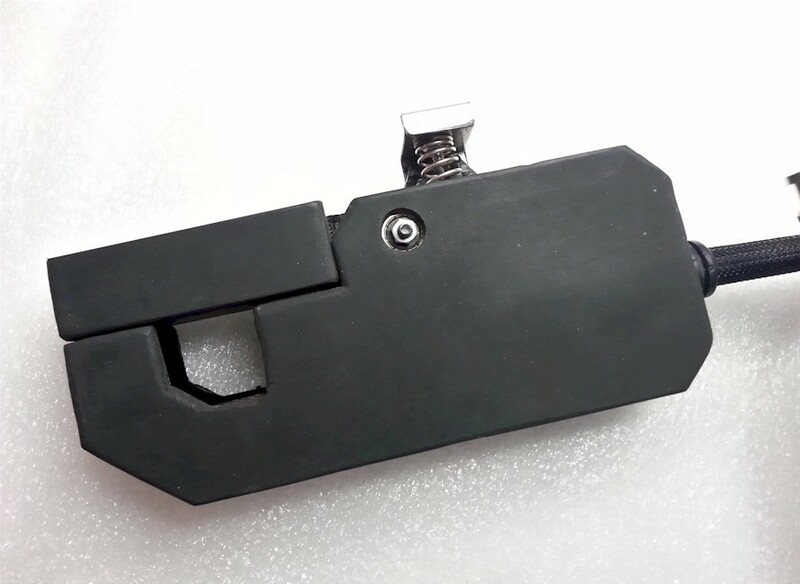 The main reason for us making the high current probe is lack of accuracy from this devise and at this price range. There are many good high current probe from Fluke, Tectronix and others, but very expensive. 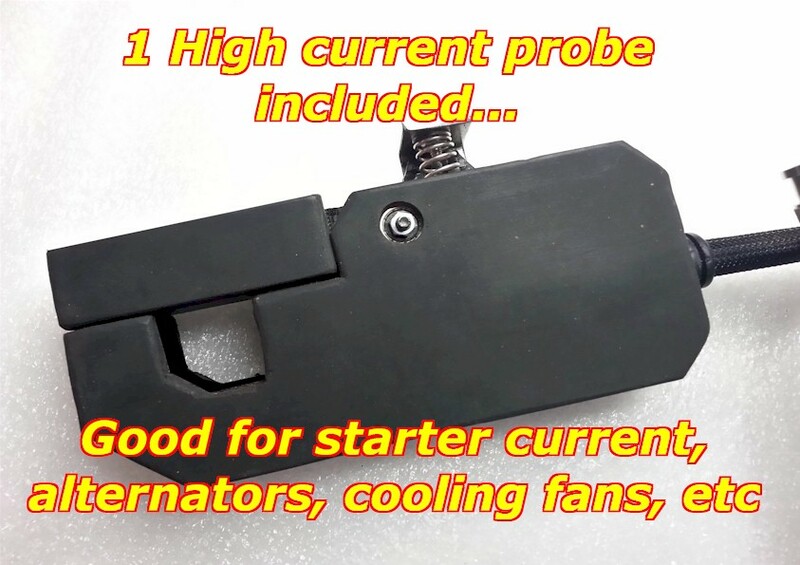 Also, don't confuse the high current probes you've seen at Home-Depot or the local hardware store, which is an AC current probe, with a DC current probe. For automotive use only a DC current probe can be used. 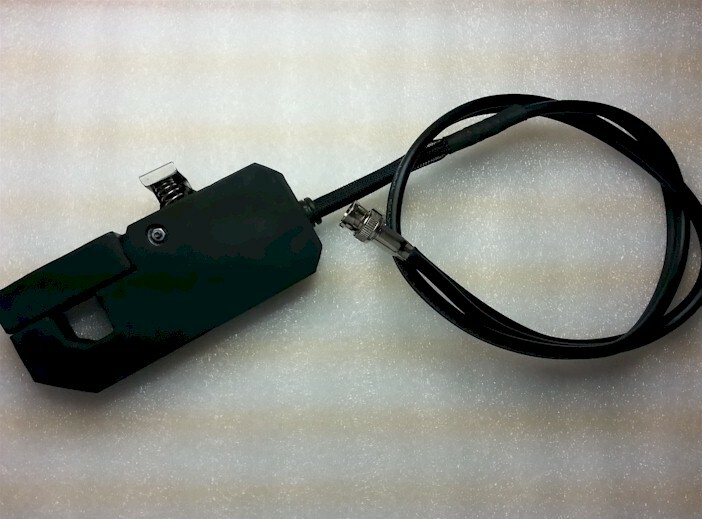 Our DC high current probe has internal circuitry and sensors encased in a rugged epoxy body, which is almost indestructible. 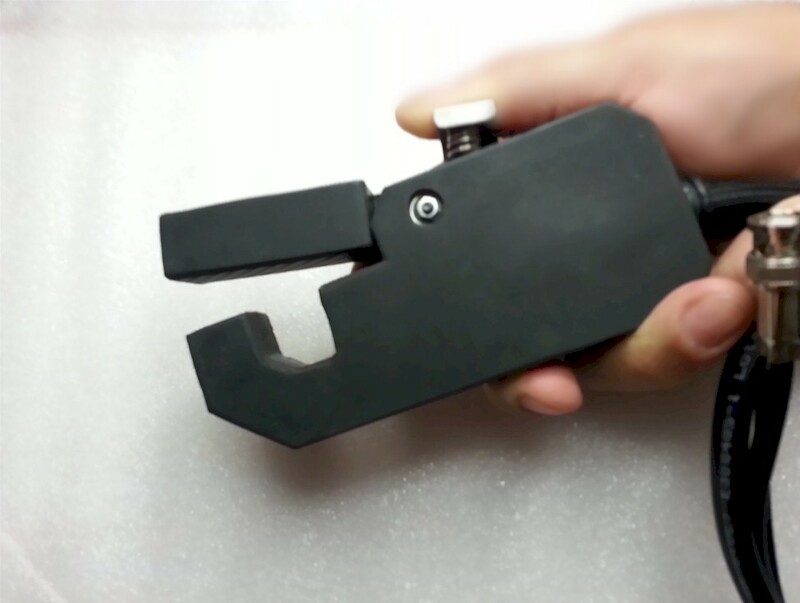 It was made to withstand heavy automotive repair use for the Scope-1 with "SIgnalator" software technology. However, our High-Current-Probe works fine with any other scope, such as Fluke, Vantage, Pico, tectrinix, etc. Even wanted to do a compression test and shrugged at the ton of dis-assembly required to get to the spark plugs? This is the answer. Our high current probe is used to perform compression tests right from the battery cable going to the starter. How is this possible? Well, the starter will draw a higher or lesser current flow, depending on the counter-force that the piston exerts. If you have good compression, the starter will have to push the piston using more force, and therefore, more current. You can see these up and down piston humps on any scope screen. If you were using the Scope-1 with "Signalator" software technology, then the software will translate these humps for you,so all you see is a bar graph or any other easy to understand output. But, you really don't have to have "Signalator", your own scope will do just fine and it comes with it's own downloaded book-manual to help you use and interpret the signal waveform. 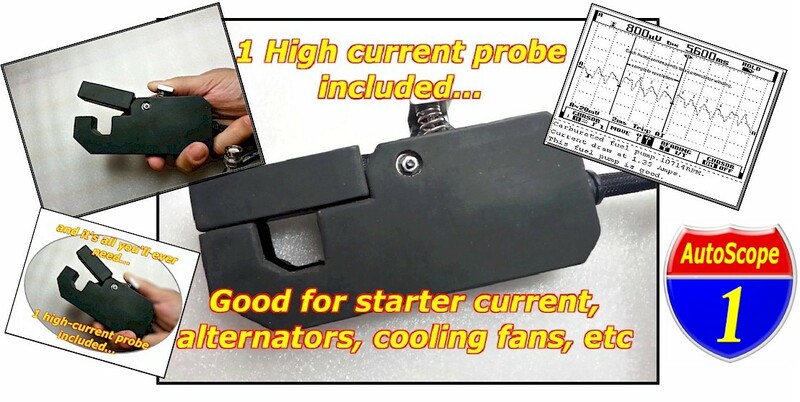 So, what does the Automotive High Current Probe do for you? Here's the rundown: Do a compression test right from the battery cable, GDI injector tests (high current), fan and A/C blower motor speed tests, 4X4 transfer case motor tests, Diesel electric piezoelectric injector tests, wiper motors, eletric-parking-brake caliper motors, any and all high current components on an automobile, truck, snowmobile, boat and DC operated device. Without our automotive high current probe, your diagnostic and repair time will go up. Doing a compression test alone is enough to justify the cost. Our high current probe come integrated or made to work with the "Signalator" software module, which understands our probe's accurate signal and translated the signal into an easy to understand output (bar-pie graph or report in plain English). 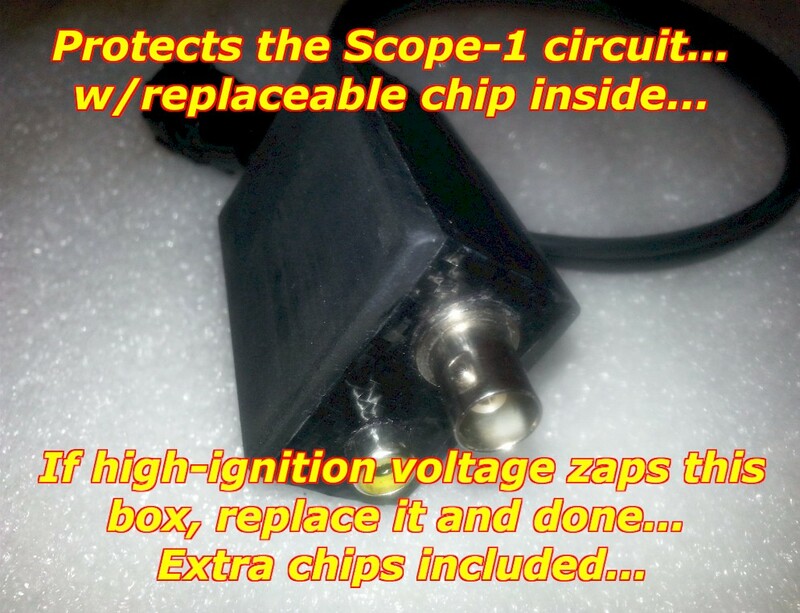 The unit is rugged and encased in epoxy resin making it almost indestructible, come with all needed cables, has its own regulated power supply so no issues with a low battery, connects to the car's 12 volt battery so no 9V battery to replace, standard BNC connector output and Banana plug adapter included in case you need it. It is a complete ready to use solution.